In 1952, Vyola J. Ortner, a wife, mother, and small-business owner living in Downey, California, unexpectedly found herself vice chairman of the Tribal Council for the Agua Caliente Band of Cahuilla Indians. Within two years, she was chairman of this disadvantaged band in Palm Springs, California, leading the first all-women tribal council in the United States and setting into motion a sequence of events that would alter the destinies and fortunes of her tribe and, ultimately, Native Americans across the nation. I put my head up, my shoulders back, and I went and did it. Where I got the guts, I’ll never know. I just had to do it. Simple as that! 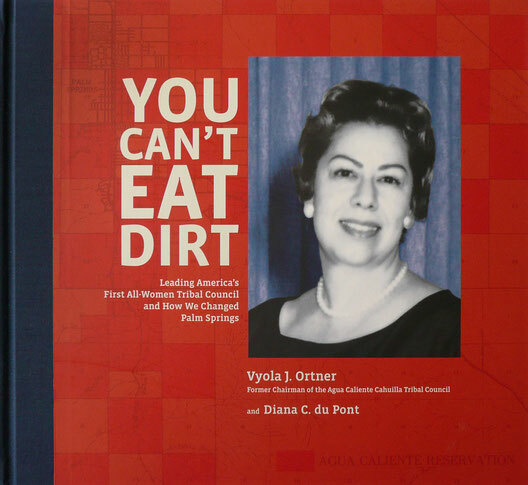 You Can’t Eat Dirt tells the remarkable story of Vyola J. Ortner and her historic political tenure. Part autobiography, part biography, the book explains how she led the Agua Caliente Band of Cahuilla Indians in its struggle for political independence and economic development, waging a campaign to maximize the potential of its sole asset - land. Committed to progressive change, Ortner maneuvered through local, state and federal arenas, creating new business opportunities that forever benefited the tribe and played a key role in the development of Palm Springs. Her pioneering work enabled all tribes in the US to shape their own economic futures. 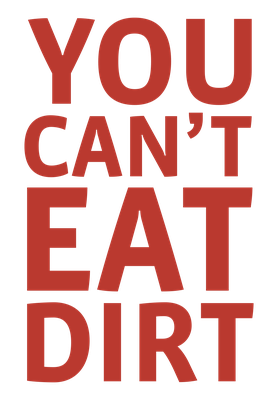 You Can’t Eat Dirt is a multifaceted chronicle of a woman’s singular journey and of a tribe and a community at the crossroads of history. It includes Ortner’s first-hand account of her years as a tribal and civic leader, set in a lavishly illustrated volume of photographs and rare documents. It is supplemented with a substantial critical and historical essay on her political work by Diana C. du Pont. A comprehensive chronology offers both a record of Ortner’s public life and a selected timeline of important events in Native America, especially the Agua Caliente Cahuilla. In addition to being an engaging biography of an extraordinary woman, this book is an essential addition to women’s studies, the history of Palm Springs, Native American studies, the Agua Caliente Cahuilla, tribal law, and US-Indian relations. Header image: Vyola Ortner at the redesigned Tribal Cemetery, Section 14, an Indian land project on which she worked with landscape architect Michael Buccino. Forbes 400, October 1, 1984. Vyola Ortner & Diana du Pont "You Can't Eat Dirt"
Click here to view interview.